In Lim Chu Kang, there is a small public housing area known as Neo Tiew Estate (or Lim Chu Kang Rural Centre). The whole area was en-bloc in 2002, with the residents shifted to Jurong West. The estate was vacated since then, and is currently used for FIBUA (Fighting in Built-Up Areas) trainings by the Singapore Armed Forces (SAF). Neo Tiew (1883-1975), who had the estate and road named after him, was a pioneer in the development of Lim Chu Kang. He was heavily involved in developing roads and setting up schools, power stations and clinics in the area. Neo Tiew set up the first mini-mart called Nan He Mini-Mart at Nan He Village, Lim Chu Kang, to supply daily necessities to the families of the farmers and fishermen in the vicinity. He also established a school named Qi Hua in order to provide lower and upper Primary education for their children. For his effort and contributions, Neo Tiew received the Order of the British Empire from the colonial government. During World War II, Neo Tiew mobilised his fellow patriots to assist the British in the defense of Lim Chu Kang and Kranji. Sadly, 35 members of his family, including a 2-month-old baby, were massacred by the Japanese in 1942. Built in 1979, there are three 3-storey flats in the estate, numbered 3 to 5. The abandoned flats are accompanied by a wet market and a playground. Lacking maintenance, the flats are left with dirty walls with paint peeling off and rusty windows. Overgrown bushes nearly cover the entire neighbourhood. Note: Visitors must exercise caution not to venture into the compound during a military drill. One of the oldest playgrounds in Singapore can be found at Neo Tiew Estate. The ordinary-looking arc-shaped concrete structure was once used by kids as a platform for running with momentum or skateboarding. The center of the structure was previously covered with sand. Elsewhere in Singapore, there is also a similar small housing estate at Seletar West Farmway 4 known as Jalan Kayu Rural Centre or Seletar Flats. It was built in the late seventies together with its more popular cousin at Seletar Road, the famous Seletar Hills Market, less than a kilometer away. This small estate was en-bloc in 2005 and is currently used to house foreign workers. The blocks at Seletar Road was torn down in 2002, while the Seletar Hills Market was demolished three years later to make way for the new low-rise condominium Greenwich. Also read about the Jalan Kayu and Punggol Rural Centres at The Last of Singapore’s Rural Centres. I remembered having a plate of char kuay teow there when I was a kid. Now it’s all gone. There is no place for the old in Singapore. I just got this website from a old school freind living in AMA KENG. I live in Sungei Gedong road, NEO TIEW village, just opposite the Chinese school. And yes….I still remember the great Char Kway Teow stall at the junction of Lim Chu Kang Road and Sungei Gedong Road. I often wondered what happened to him. He used to have a sort of cart as his stall. Is that the same one as you know it ? Let me know if you know what happened to him . BTW, I am related to Neo Tiew, about 3rd generation from him, now living in the UK since 1975. The village you mentioned is called Thong Hoe Village. There is also another open-air cinema which was also operated by your family together with another petrol pump, both are the only one for Lim Chu Kang, if I remember correctly. There were also 3 coffee shops located at each corner of the traffic junction towards Sungei Gedong. I came to know a little about Mr Neo Tiew 10yrs ago when I was reading a short article (of him) to my grandmother. She shared some memories of him but were rather brief as she was then recuperating from an op. My interest was piqued then but didn’t managed to get much info about him until I came across this website. I would be grateful if anyone would be able to share info pertaining to Mr Neo Tiew. Thank you. hi，i’m also 3rd generation too，my grandfather is neo tiew’s fourth son，cheers. I live in Thong Hoe Village as a little boy and my parents house was just opposite the open air cinema. On some nights, we kids will stand on the stool and watch from our place. The cinema was opposite the road leading to the amour camp – slightly on the hill (left Side).. my parents’ place was on the right side. The guy who own and deliver groceries was a big fellow whom i refer to as ‘Elephant’ lol. Most of the related families of New Tiew lived in this town. My mother was a nurse working in the 3 clinics located around the small villages/towns. Playing in the canal.. catching fish, visiting my cousin’s farm – crocs, orchard etc.. playing around the rubber plantations.. i think i had more fun than the kids today. 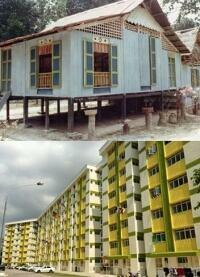 some of the websites are showing the HDB flats.. these are built very very much later after Neo Tiew’s time. i still remember my great grand father… always a smoking cigar in his hand.. always having lots of kids around the place.. his place was slight up higher from my parent’s place. Hi David, Were you previously from 38SCE (AE NCO – M113) during 1979-1981. Your OC should be then LTA Lai Cheng Leong. One of your platoon mate should be Chua Seng Chye then subsequent batch were Tan Lai Poh and Ronnie Tan. I did remember that was an NCO by the surname Neo that lived opposite the cinema. You should be born around 1960/1961. danny, the village was my home town.. i did my NS at 2nd Guards.. just down the road , not too far away. Thank you David for the reply. The very last time I did my 5th ICT (last with SAF) in 38SEC (home unit) @ S Gedong was sometime in 1986/87 and that was my last glimpse of Thong Hoe village in general. Wondering which year the govt carried out the resettlement of Thong Hoe, Neo Tiew and AMK village. Best Regards. Sipped teh from a saucer in the coffeeshop here as a little boy..and played in the huge bowl-shaped sandpit..
there was a hawker centre directly opposite a mosque and the main gate of Tengah Airbase until 1999. Really? How could I have missed her while serving my Nation Service???!!! Damn! I missed the chance to flirt with her. We used to buy yu cha kueh and porridge for breakfast before heading into camp. Few of my camp mates had to sign extra cos they detoured out of camp with the flight’s mini bus to pack lunch and were caught by 2 MPs. One of them stupidly put up his hand to stop the MPs on their bikes to allow him to cross after alighting from the mini bus. To be fair to him, it was common for military personnel to use military vehicles to get lunch from the hawker centre and none of us even thought that it was wrong to do so, until that day of course. Sadly, the place was gone when I went back for reservist many years later. Hi, is it possible to enter the compound or is it fenced up? i used to nicked this place “the forgotten estate” when im doing my ns at armour camp. Some others from internet nicked this place “kranji ghost town”. its fascinating. I myslef would love to go in and look around. But u cant do exploring although its not fenced up. there is a sign tat says trespassers will be prosecuted. so its kinda like a criminal act. The Neo Tiew village I know in the 1960s has no flats but just zinc roofed shophouses and other houses made of planks,attap and zinc.It was a serene village of farmers and a school called Kay Wah Chinese school Br 2.I could order a plate of char siew png for just 50 cents and it tasted heavenly.It brings back old memories everytime I pass this place. Incidently as a teacher I taught 3 of Towkay Neo Tiew’s grandsons at Ama Keng School. Hope you get this as I noticed your post was sometime back and I just got this link from a old friend who used to live in Ama Keng. I can’t remember the name of the school. But was that Chinese school along Sungei Gedong Road ? My mom used to teach there also and we live just across the road from the school. The headmaster, Mr Guan just passed away recently. If you got this message, hope you will get back. Thanks. The English school at Ama Keng is Ama Keng school. The one that mum was in was Kay wah school branch one. The one at Sungei Gedong was Kay Wah school main branch. The one in Neo tiew road was Kay Wah school branch two. The flats were built at the junction of lim chu Kang road and neo tiew road. Aunty ah kor used to live there. There was a hawker centre there. The char kuay teow that you mentioned is not the same one there. You are right, that was and still is, the best char kuay teow. I just told Kim about a week back that I have not been able to find a better char kuay teow than that. Jun wei’s nanny will probably be able to tell you what happened to the guy who ran the stall. I study at Ama Keng School from 1966 to 1970. At first the school building is single storey and long in design later they added mutli storeys wing. I think the building are still there. Still possible to enter the area ? Do we need any permission to enter.? Yes, it’s accessible by the public but do look out for any military personnel. Is there many wild dogs? i heard from my dad that there are even wild boars! Is it safe to go alone? Recently ORD from Gedong , i can say that there are wild dogs roaming that area. So do exercise caution when visiting the area. I remembered drinking a can of coke in the coffeeshop in the 90’s. At that time the coffeeshop was still using the traditional blue colour metallic plates to cover the front of the shop when they are closed. Could still recall ridiculously huge pigeons walking around the compound, and a large fly which landed straight into my cup of coke. Those were the days. is there any nearest bus stop goes there? Where is New Tiew Estate? I searched Google Maps and Google Street View all over Lim Chu Kang but I cannot find it. Thanks! I plan to go there to take photos but on Lim Chu Kang Road and Neo Tiew Road. I was serving my NS at Sg Gedong Camp in the late 90s … the place was already very run down but the hawker centre was still in operation, and the flats still occupied. I remember my OC brought us out for a morning jog and after our work-out, we settled down at the hawker centre for bkfast. I remember vividly eating the very delicious fried carrot cakes at $1.50/plate and a can of coke at 80cents (in 1998!!!) There was also a POSB ATM nearby ( i think) and a clinic …. served ns in ratc, sungei gedong, from 1993-1995. went to neo teow village once to eat, but never knew about the histroy of Neo Tiew. There were alot of flies then in the coffeeshop or hawker centre, i cant remember. big fat flies, haha! i have never seen so many flies in my life! anyway, i wonder what happened to the old Reservist Armour Training Centre. look like some old primary school. ratc was renamed in 1993/1994 by Lt Col Ralph Patterson as Armour Training Centre. He was the CO back then. He took over from Maj Seng. had to walk the 20mins route from the bus time each time we book in. i still can remember the sianz feeling walking back to camp. now atc got a brand new building. my late grandfather used to bring me here on Sunday afternoons before it’s totally empty..
Thong Hoe village is the small town near by the Lim Chu Kang Estate. I was attached with the PPD Office of Jalan Bahtera off Lim Chu Kang 24KM from 1971 to 1984. The Chu-Char stall of the coffee shop run by Tua-bui (fatty) brothers was best in preparing the pig-leg stew. Can you remember this? only been there once in 1993 days b4 ROD, when back couple of years back had a hard time looking for it, now heard b’com military training ground ? During World War II, Neo Tiew mobilised his fellow patriots to assist the British in the defense of Lim Chu Kang and Kranji. Sadly, his entire family of 35 was killed by the Japanese in 1942, with only Neo Tiew and his fourth son managed to escape. My Great Gandfather and 4th Grandfather were not the only survivors. Was posted to do my NS near Lim Chu Kang , and often passed by Neo Tiew Village during morning jog .. after reading this article i understands more about its past … thanks ! Keep sharing a keep this blog alive, although Singapore is not a huge place, there is many places that we have never (or have the chance) been to. I just passed the estate not too long ago. The whole block of flats have been painted. Is the government doing something about the estate? I watched Ah Boys To Men recently and was wondering if they had used this as one of the ‘war’ scenes at the start of the movie. Do you reckon? 🙂 Wish to go down soon to snap some pictures, but if it is true that they used this estate for the scene and have repainted it, then it won’t look rundown and rustic already I guess. yup they repainted the place and filmed the war scene there. they actually did a CGI multi-storey market to replace the single-storey market in the middle. I remembered playing at the arc-shaped concrete structure when my parents brought me to the market on weekends. The place still looks the same, just run down and overgrown with weeds. Thanks for preserving our memories. Hubby was a HDB technical officer there in e 90s and he introduced me to this place after 1 of our visits to e Muslim cemetry. I was lost beyond words, and i felt lost in time! A whole new meaning of “ghost town” for me. Haha. Singapore is really interesting. hey, we have some great photos and groups of AMK friends there. Come & join us in FB – Look for Ama Keng Primary School 1981 to 1986. We started to search for friends btw this period but today we have many other AMK friends joining from diff era…hehe..You might some old friends there as well. HI!!! Just come across this.. I study in Ama Kheng school from 1988 to 1989(last year of operation) My brother from 1985 to 1989 also in Ama Kheng… I used to live in 36 Neo Tiew Lane. Anyone still remember there a fishing farm in Neo Tiew Lane which operate by my Uncle? Hi Michael, I stayed at 2A Neo Tiew Lane till 1988. Yes, I knew there were some fish farm some where there and a Neo family operating it. Remember fishing there once with my father. Hello, I was there from 1973 to 1979. The compound is now a work dormitory. I met a girl from AMA Keng primary school whose elder brother happened to study in Lim Chu Kang primary school as i was. i met her once and have fond memory of her since then. The last time i saw her was 32 years ago when i was riding my bike along Neo Tiew road. I often wonder how she is doing now. The place we met the first time was at Tong Ho market depicted in the pictures above. We were very young playing a game of hide and seek. Now that I see these pictures, I can still remember the places we hid together. I drove past Neo Tiew Estate at around 9pm the past week and saw a group of professional looking ghost hunters on the second and third floors! Such an amazing place with great history which brings back memories of escaping church camp at the nearby Sarimbun Scout Camp for supper to have roti prata and char kway teow! This was back in ’99 but a pity i was only 12 and couldn’t appreciate the history. I would love to go back during the day to take photos! my mum used to sell hor fun at the coffeeshop in Neo Tiew and my aunt and uncle used to sell drinks there. I remember there is a circular shaped sand pit where there used to be many pigeons. It was kind of weird when I revisited the place as a FIBUA ground and people were calling the place I spent part of my childhood as a haunted place. Ohhh the hor fun from the coffeeshop, not forgetting the wan ton mee too.. still remember there is a lady who ride a scrambler live there.. Wow!! Memory flashed back to the 80s when I took bus 172 to junction of Jalan Bahtera near NEo Tiew Road, to walk to the old Sarimbun scout camp….. I first learned of Neo Tiew Road in 1988 when I was posted to 5 SIR as a combat medic.It was the unit’s operational parade on my day of posting and the itinerary was a 24km route march which passed through Neo Tiew Road. We seemed to march for hours and we were still on Neo Tiew Road! My place was at Lorong Jerun, further up the HDB Estate and directly opposite Lim Chu Kang Primary School where i studied from 1984 – 87 (until school closed) and later Qihua Primary school 1988 – 89 in Woodlands (formerly Kay Wah Pri Branch 1 at Ama Keng Village, further up Jalan Puyoh after the Chinese Temple opposite where Dr Tan Cheng Bock’s clinic used to be). I still remember on early sunday mornings myself and younger bro would follow mum in the car to do marketing at the always fully packed wet market and we would beg for afew cents to buy sweets at Mong Lee’s provision shop and run on the huge circular slide’s slope to see who can run from beginning to end without falling into the sand, and later buy soya milk drink from the drink stall (at 20 cents) and walk along atop the high brick wall surrounded by the hawker centre, row of shows and the slide. Who previously lived in Ama Keng Village (a short distance from Neo Tiew) and studied at Ama Keng School? I studied at AMA Keng Primary School from 1983-1988 and used to stay in Lim Chu Kang HDB flat 4th floor till 1992. These photos remind me of my childhood days. Hi PL, I am a film student and I am currently doing a short documentary film on the Lim Chu Kang HDB estate and was wondering if you would be interested in sharing your stories about what life was like in that estate? Is the place still open? How can we access the place? Which road or junction is it close to now? Yeah Kinda miss the old Neo Tiew Road (although I do not stay there) cause my dad was a sch principle of Kay Wah Sch Br 2. Would follow him to sch during sch holidays and the people in the village were very nice and friendly. There was a provision shop opp my dad’s sch which we would purchase our drinks from. Whenever I was there, I just loved the smell of the farm air and also a sense of tranquillity. Time Flies. I’m born in 1990. I was still a baby when I’m staying in kampong for a while. I remember my grandpa used to bring me to this place when I was young. I’m too young at that time I only find it familiar and a fish farm. Anyone knows more history about this place history? I would like to know more about it. I’m somehow related to Neo tiew. I would want to know more about our family history too. Hi guys just an update, went there a few days ago. The place has been given a proper paint job as well as a bit of a cleanup, as well as many signs of it used as a soldier’s training grounds- Camo paint tubes, several maps, etc. The whole place is fenced up as well, only managed to get in via someone leaving the side gate (head up neo tiew rd) unlocked. Otherwise, almost impossible to enter. However, the whole place has lost its “abandoned” feel. Wow, good thing RemSG took photos before the “renovation”. The housing estate with the wet market n 2 hawker centres were the centre of Thong Hoe village’s activities during its heyday in the 1980s. I had friend and relatives who lived there n I stayed over occasionally during the school holidays too, never experienced anything out of the ordinary. The dark quiet kampung roads in the surrounding area (my place was 15min walk along the now-expunged Lorong Jerun) were probably more scary at night. Maybe the estate became creepier only after the residents were resettled. Hi Hock Keong, your family name is “Lua”, same as me. Was wondering if we are related in any way? Hi Hock Keong, I am a film student and I am currently doing a short documentary film on the Lim Chu Kang HDB estate and was wondering if you would be interested in sharing your stories about what life was like in that estate? Before the housing estate was built, there was a big drain (longkang) and lots of rambutan trees there. There was also a row of shop houses at the junction between Lim Chu Kang Rd and Neo Tiew Road. I stayed in Neo Tiew Lane off Neo Tiew Rd for 27 years (my childhood). I did my primary schooling at Lim Chu Kang Integrated Primary School further up the housing estate which was build later. There was a petrol kiosk & an open air cinema near the Sungei Gedong Camp area. I remember my first show there was “Bruce Lee – Chang Sang Ta Siong”. Can’t remember how much was we had to pay. The first SBS bus service came later – No. 172, later 179 & 206 came around. Bicycle was a common means of transport then. Along the 2 sides on the road at Thong Hoe are the shops and stores and marketing are done there. There was also a private bus plying from Thong Hoe to Nam Hoe operated by the Neos. Those were the days. Hi Chew Meng, not sure if I know your family. There aren’t many Lua families in Lim Chu Kang. My mum remembers a Lua family who stayed near Neo Tiew Rd who later moved to Bt Panjang around Petir Rd. Will have to check with dad for more info. Hi Hock Keong, yes my whole family moved to Petir Rd (Bukit Panjang) when the Govt. resettled us. My 2 uncles passed away before the resettlement and one of my cousin also shifted to Bukit Panjang. My dad’s was known as “Ah Khoon”. He is no more around. My brothers and myself are all in our early 50s already. Hi Chew Meng, then there might b a chance my parents may know your family. My uncle who used to run Supmar poultry at Neo Tiew Rd is Kim Hai, but passed away before moving around 1990. My family stayed at Lor Jerun and dad is Kim Kok who used to run a cng tank supply business and we moved in 1992. I’m still in my thirties but siblings r older. Oh! So you are Kim Hai’s nephew. Your grandmum (used to stay with Kim Hai) was my grandmum neighbour (at Neo Tiew Rd). I know your Cousins (Kim Hai’s sons from his first & second wife) – Kah Hock & Ee Chong, Johnny and his younger brothers & sisters (can’t remember their actual name, I think one was called Ah Wah, Johnny also have a older brother). My uncles are Chwee Tee & Bok Seng (no more around). I did attend the wake when your Uncle Kim Hai passed away, later also Kim Hai’s first wife’s wake at clementi (Kah Hock’s mum). I am still in contact with Kah Hock. Last week we just had a gathering with our 2 old primary school teachers. In fact Ee Chong (Kah Hock’s younger brother) was my primary school classmate. I know Kim Hai got a younger brother (that’s your father) – had seen him when I was very small. We used to go to my grandmum’s house then which is just next to Kim Hai’s place. We stay further in (at Neo Tiew Lane). Your parents surely know my family. My father (Ah Khoon) is the youngest, He has 4 sons and I am the third son. Send my regards to your parents. Yes it really is a small world. I don’t know my cousins from my uncle’s first wife very well, except the eldest Yi Fa, and Xiong Hui. I know better those from the second wife.as they r mostly my siblings age, such as Ah Dong, Ah Wah n their 3 sisters. I also went to the wake at Clementi. Yes I believe my family knew your family. Will let my parents know and pass on your regards when I’m back from overseas in august. Hi Chew Meng, my parents do know your parents as well as your uncles Chwee Tee n Bok Seng. Dad said your uncles used to be land surveyors with the Land Office, and your dad was with the PPD, the predecessor of AVA. My mum remembers that 2 of your brothers moved to Choa Chu Kang. My parents sends their regards to you and your family too! So you are Kim Kok’s son. I am your fourth auntie’s husband. I was browsing the Internet when I came across this interesting exchange of information on Neo Tiew Estate. Please find out more about it so that you can fill me in when I next see you. Wow! Glad that the estate remains! I was a resident at the HDB till the en-bloc exercise! For those who miss the carrot cake in the market, my dad is still in business at Blk 442 Jurong West Ave 1. Going to retire soon! Hi Jaslynn, I am a film student and I am currently doing a short documentary film on the Lim Chu Kang HDB estate and was wondering if you would be interested in sharing your stories about what life was like in that estate? Hi Jaslyn, I miss your dad’s carrot cake! Is your brother Jun Qiang? Thanks for sharing! Will go look for the stall soon! Hi Hock Keong, yes my dad was once with PPD (I think before I was even borned). Myself and my younger brother shifted to Choa Chu Kang. Later I shifted to Yishun. My Older brother is staying in Katong area and 2nd brother is staying at Clementi. My uncles have all passed away, so is my dad. Times really fly. I still think that those years in Lim Chu Kang are my best years. Life is like that. All the best to you & your family. Hey guys, if you guys are still lookin for the uncle(he’s my grandmother’s uncle) who sells char kuey teow, he have already retire. Ah! I remember the char kuey teow and carrot cake. Staple food from my NS days. Bro, you should check out the stories from the various camps.I was at 1 SIR Guillemard Camp. Plenty of stuff happened there. Especially with regards to the story of the bamboo right next to Bravo Company. I had two men possessed in consecutive years in Charlie Company- one from platoon 8 and another from platoon 9. Ang Mo Kio-The 2005 murder at the playground happened just downstairs.The TG West-more than just a couple of murders occurred there. 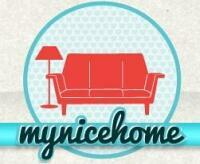 Should come over to AMK and stay for supper, lah, bro. May be out of topic but this is the most relevant article to my question. For those who have served NS, do you remember there used to be a FIBUA with about 3 or 4 blue colour buildings? They are three or four stories high and are used for FIBUA and also line-laying training for School of Signal (SOS) trainees. I have been there 3 or 4 times as trainee in SOS, NSF as well as Reservists. However, I cannot locate these buildings in Google Maps; partly because I do not know the exact location but pretty sure it’s in the west, Lim Chu Kang area, as I remember it wasn’t too far from SOS. I am wondering if they were demolished and converted into the now Murai Urban Training Facility. Please let me know if you know the location. Hi, my name is Edwin and I am a Film student. I am currently doing a documentary about the Lim Chu Kang HDB estate that is off Neo Tiew Road and what life was like in that estate. If you are interested in sharing your stories, would you please contact me at 96727287 or drop me an email at choy.edwin@gmail.com . I came across tis interesting tread while doing a google search on thong hoe market carrot (just trying my luck). I really missed the carrot cake! It’s still around? Thanks for remembering. The carrot cake hawker who is my Dad, has retired since June 2015. Hi Serene Tan, Your uncle is still selling in Bukit Panjang, right? Yes!!!! he is. Just to ask if you get to know more information about the stall past or any images of it? is this place open to public? how to get there i am a photographer and would love to have some pictures there. It’s no longer accessible. It is now a restricted SAF premises. you can try your luck. one time i went and the gate was wide opened. even then, there is a part with the slope for military vehicle that is wide enough to crawl through. but be careful of wild dogs. Hi, I am born in 1971 lived in 328Q Neo Tiew Rd ,studied in Kay Wah School Branch 1 till PSLE and went to Tech Whye Secondary till Secondary 1 when government decide to resettle the whole neo tiew road rural areas, was sad to depart in 1982. This blog and pictures brought me back to all childhood memories of every sunday going to Thong Hoe market with my mum, the feder bus no.2 would take so long to arrive and just pay 10cents for the transport and always fully packed. My name is Chen Ruixian and whoever was my friends before would be great to reunion again..
Hi there everyone, both Neo Tiew aka Nam Hoe and Thong Hoe, as well as Ama Keng brought back fond memories of my growing up years in Lim Chu Kang. My family was poultry farmer further north along LCK road at the 32 km mark (19 3/4 miles). Zoe Tay stayed along the same side road :). We shifted to Bukit Panjang in 1986 after the government shut down pig farming in the areas. Specifically for Neo Tiew Mkt, i remember there was a dessert store that sold chendol and ice kachang for 50 cents and the duck noodles store that sold delicious noodles for one dollars. I also visited the tailor shop there to make my pants when i went to college in 84-85, and remember asking the tailor uncle to add side buckles and wanted a baggy cut…teenage days lah. Further up the road i remember is where Mong Lee family stayed and sometime i would follow my dad to order the pig feeds. At Thong Hoe, i vividly remember the barber shop ran by a father and 3 sons. Everytime my dad would bring my 3 elder brothers and myself for haircut (the orr nee ku style – botak:(), we could all have our hairs cut all at once. There was a coffee shop across the road where my dad would hang out while my mom did her grocery shopping. Good old day everyone was green with the environment; mon would bring her “chye nah” – vegetable basket , and the hawkers would wraps vegetables, pork and even fishes with old newspaper. I still remember there was a chai tow kueh stall that served the chai tow kueh on simpur ayer (aka CB) leaves. There are many more memories of LCK that i can probably write a book. Nice meeting all of you here who have shared a common experience as myself, growing up in LCK. David Neo, is your father name call Tony and your mother name call kay choo and you got 3 sister name call Jennifer, Ann, Helen. I lived in LCK from 1965 to 1970 at Lane7(i believe) when i was a kid. My house was between my grandma house & my eldest uncle’s. Use to have a provision shop at Lane7’s entrance & an ice kacang man at the bus stop in the evening. Also a small stream running parallel to Lane7 on the left. My cousins & i catches fish there. As kids we explore everywhere with the “big bicycles” to find fun – sungei buloh area, Thong Hoe Village, open air cinema, catch spiders, catch shrimps at jetty, climb rambutan & guava trees, etc. Attended kindergarten somewhere near ThongHoe. The teacher drove a very old “panel van” car that fetches us to & fro. Enjoy the “tortoise climb” of his car from NeoTiew to Lane1, always worry it would breakdown, LOL. After moving out in 1971, my family still visited my relatives regularly & staying over the weekend – till they were relocated in late 80s. Fond memories, esp the jetty sunset & the stars in the night, spectacular! Hi my Cambodian friend Lee Peng Zheng is trying to locate his close relative Lee Ah Chui or his children Lee Fu Qiang, Lee Fu Lin, Lee Fu He formerly staying at 545D Neo Tiew Rd. Any one knows their wherabout? Hi All, I stay in AMK area when I was a kid. My 2 sisters studied in AMK school which I didn’t as it stop operation before I could enter P1. However, my childhood is still there and there were so much memories. Some people in AMK were relocated to Bukit Panjang and yes, AMK school joined nam shan. Last time I revisit the place were many years back. AMK school is still there but have been occupied by foreign workers. The road stop short somewhere near school and I can’t go deeper in to the place where I used to stay. Maybe I should go back one of these days…. Hi Philip, yes the school building is still there but has converted into a foreign workers’ dormitory. Just passed by earlier this week. Still there. Anyone knows exactly what’s the location name is as google map just point to the main road.